This 30 something mom of two is a metal face. I have had braces for several months now and wanted to get you all caught up on the process. 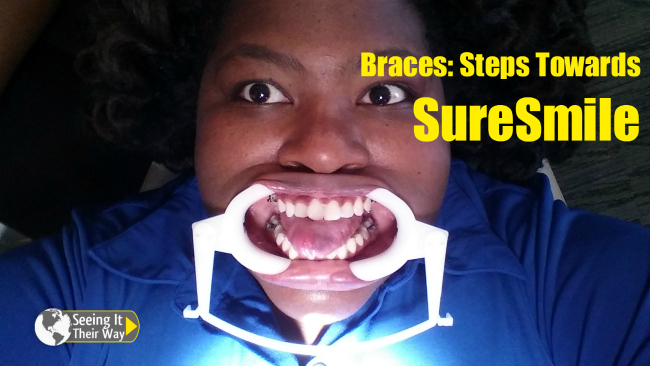 Who knew there were so many steps involved with getting this crooked mouth of mines straight. I sure didn’t. I have talked about Getting Started With Braces, which basically shares whats discussed during your initial consultation and what SureSmile is. It is important to really know what you are getting yourself into because it is defiantly a commitment in both lifestyle and finances. Since the initial consultation I have had several visits. My first visit included getting spacers placed between my teeth to make room for the bands that are placed on your back teeth that acts as anchors. The best way to describe how these bands feel is large popcorn kernel pieces stuck between your teeth, super annoying. Also at this visit x-rays and a mold of my teeth were taken in order for the doctor to start planning my treatment. About two weeks later I went back to actually get bands, brackets and a traditional wire installed. Brackets were cemented to each individual tooth after the technician made sure each tooth was clean and dry. I must say this part was not fun as you can see in the picture above my mouth was stretched open for more than 30 minutes, which caused for a lot of discomfort. My next mission was to get FOUR teeth removed. Yeah I said four teeth, the tightness of the braces was nothing in comparison to the pain I had at my extraction points. But it had to be done there was so much crowding in my mouth that there was no room to straighten my teeth. Two weeks after I had my teeth extracted I went back to have a scan done to be sent to SureSmile and had several mechanism placed on my teeth to close the gaps made by the extractions. So now I am simply waiting for my SureSmile wires to come back, which takes about eight weeks. In the mean time I have to continue brushing after every meal, flossing daily, avoiding hard/sticky food and oh yeah not biting into food with my front teeth by cutting up all my food (even wings) into smaller pieces. 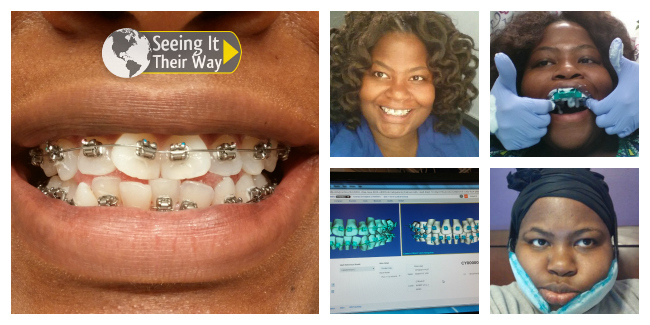 Are you looking into having braces or have you had them? Share your experience our any questions you may have in the comment section below. Hi, i’ve just come accrossed your blog today while researching about Suresmile. I plan to have braces to straighten my Bug bunny teeth but the time of the treatment chickens me out. Then I know of Suresmile which claims to shorten the treatment time by 30% and I think Im gonna use braces if Suresmile really works. Could you please give a review of Suresmile? What do you think about it? Do you think it really works? Would you recommend it? Thanks a lot! !